Chameleons do not enjoy being handled and are easily stressed out, making them not very friendly and not for a beginner reptile owner. 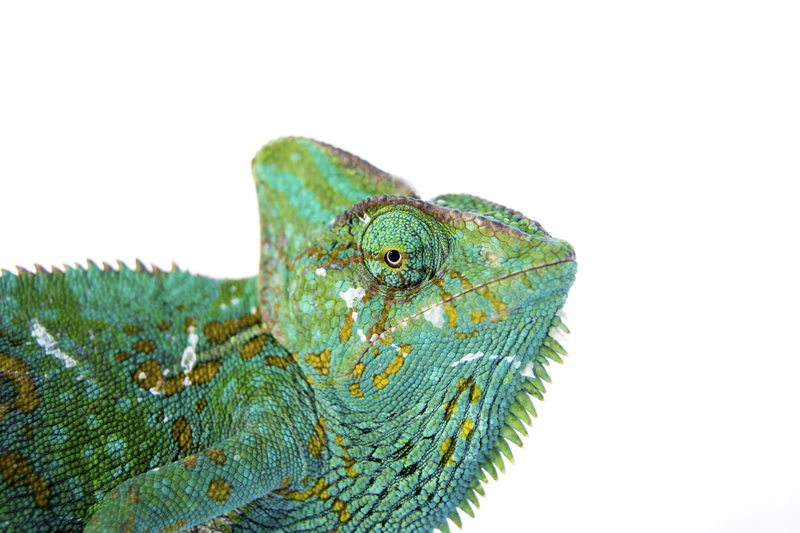 Chameleons are not the easiest reptile to take care of and have very specific care needs. Since they are easily stressed out, keeping them in a stressless environment can be quite challenging and tedious. How many chameleons can I keep in one enclosure? Chameleons are very solitary animals and are also territorial, especially to other chameleons. You should keep your chameleon alone in an enclosure. What species of chameleons are there? There are Panthers, Jackson and Veiled chameleons. What should my chameleon eat? Chameleons are mainly insectivores and eat any of the following insects. As a rule of thumb, make sure the insects are not bigger than the chameleon's head. Otherwise, they will have trouble eating the insect. Chameleons can live for around five years. How big can chameleons get? Depending on the species of the chameleon, its size can be expected to range from 25 to 33 cm. However, male Veiled chameleons can grow up to 60 cm. Chameleons rarely drink water out of a bowl. The Repta-Sprayer or Dripper can provide fresh water for the chameleon to lap up off of the furniture in the cage. With a natural look and feel, these branches are the perfect addition to any terrarium. They bend to fit your pet's enclosure while offering more support than conventional vines. Directs heat and light toward a specific area for basking reptiles. Can be used to provide low levels of supplemental ultraviolet radiation. Chameleons will only eat live prey items. It is important to dust the items once a week with Reptile Vitamin and Repta-Calcium. (Not daily as some vitamins may be toxic if used in excess.) Liquid Vitamin provides essential electrolytes and can be mixed into the animal's water.